At BMW of Stratham, we believe that every car-buying experience is as unique as our customers. Instead of treating each of our patrons the same, we truly cater to your specific needs to ensure that you find the car of your dreams. Whether you’ve been searching for an aggressive SUV or simply want to get your hands on a speedy sedan, our BMW model inventory and skilled experts provide you with all the help required to uncover your ideal vehicle. On top of that, our professional financers and trained mechanics will offer you valuable information to make your journey that much easier. When you’re ready to dive in, feel free to access any of the dropdown menus listed above. Each will provide you with an array of tools, all of which are designed to make your search for the perfect automobile as simple as possible.  If you find that you have any questions, don’t hesitate to contact our team at BMW of Stratham. We’re proud to serve the communities of Stratham, Portsmouth, and Exeter! No matter if you’re hunting for a BMW 330i or a BMW X3, our inventory contains all the choices you need to locate the vehicle that meets all your requirements. Once you set foot into our BMW showroom, you’ll feel what it’s like to shop at a dealership that’s dedicated to customer satisfaction. Each of our sales associates will guide you through the details of every model and happily answer any question you may have. That way, you’ll always leave us feeling informed. On top of that, our convenient online lineup allows you to quickly browse our collection of cars from the comfort of your own home. From here, you can easily review the details about our new, pre-owned, or certified pre-owned vehicles. Every listing also offers handy tools that give you an idea of what your financing options are. For example, our “Get Pre-Approved” feature allows you to make the first step in purchasing your favorite car. Once you filled out your information, a member of our staff will reach out to discuss your options. However, if you’d rather begin your buying process in person, our team will gladly speak with you one-on-one to get a sense of your budget. After reviewing, we’ll work with local banks and lenders to secure the loan choices that best fit your needs. That way, you can walk out of our doors feeling confident in your decision. When it comes time for your vehicle’s first checkup, our knowledgeable service technicians will perform quality work during any appointment-be it routine maintenance or an emergency repair. Plus, our advanced BMW service center contains all the most cutting-edge tools and genuine parts required to make any replacement. If you think it’s time for your car to get an inspection, arrange your appointment online by choosing a date and time that’s best for you. By now, it’s likely obvious just how committed our staff is to providing drivers of Stratham, Portsmouth, and Exeter with leading service. So, rather than choosing a dealership that lacks the experience in working with customers of all walks of life, visit BMW of Stratham today! Our team is happy to give you a tour of our showroom or help you schedule a test drive of your optimal vehicle.